The state of Minnesota has decided to try its hand at Internet censorship. Officials from the Minnesota Alcohol and Gambling Enforcement Division have commanded Internet service providers to block almost 200 online gambling sites. To reconcile its action with actual law and statutes, the Division is citing the federal Wire Act of 1961 as the basis for attempting to prevent residents from accessing online casinos. However, federal courts have ruled that the Wire Act pertains only to sports betting, which leaves Minnesota in an uncomfortable legal position. Officials notified Comcast Cable, AT&T, Charter Communications, and eight other sources of Internet connections to respond within the next two to three weeks. ISP spokesmen had no immediate comment. 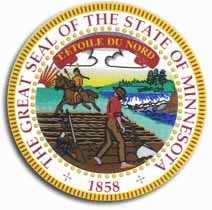 Emerging news stories on the ongoing battle between the state of Minnesota and the online gambling world indicate a victory for online gambling and Internet freedom is near. The ongoing dispute between Minnesota's Alcohol and Gambling Enforcement Division (AGED) of the states Department of Public Safety and the online world dates from late April, when the division ordered eleven Internet service providers doing business in the state to block access to 199 different Internet domains associated with online gambling. Several prominent poker sites were among those listed. However, the order was met with a widespread public outcry and appeared to be based on shaky legal ground, using the 1961 Wire Act as its base. Among the first actions against the order was a lawsuit filed by the Interactive Media and Entertainment Gaming Association (iMEGA), which sought to block enforcement of the order. iMEGA represents several online interests and has been involved in other actions on both the state and federal level. The Poker Players Alliance have now claimed victory in the battle between Minnesota and the online gambling world, claiming that the state was dropping enforcement action, citing an announcement by Minnesota State Rep. Pat Garofalo, who stated that the matter was concluded after the legal position underlying the issuance of the notices was reconsidered. In breaking news out of Minnesota, the Department of Public Safety's Alcohol and Gambling Enforcement Division has sent letters to 11 of the world's largest internet service providers (ISPs) withdrawing an earlier mandate to block 200 domain names. Those at risk included Bodog and Full Tilt Poker, which were among a handful of rooms on the list that accept customers from the United States. On Monday, the Interactive Media Entertainment and Gaming Association (iMEGA) also withdrew its civil court case against Alcohol and Gambling Enforcement Division Director John Willems. In total, a crisis seems to have been averted. The Kentucky Supreme Court has heard arguments in a potentially landmark case that could determine the future of online poker as well as set new standards and precedents regarding the censorship of the internet. The Supreme Court hearing marks the latest legal stop in a year-long debate on whether or not the Commonwealth of Kentucky has the jurisdiction to seize gambling-related domain names that are accessible to residents of the state. Kentucky Governor Steve Beshear gave the order to seize 141 gambling-related domain names in fall of 2008, claiming that they were gambling devices and, as such, violated an anti-gambling statute that has been on the state's legal books since 1974. The initial ruling by District Court Judge Thomas Wingate agreed with Beshear that the web sites were gambling devices and upheld the state's actions. Several gaming groups including the Interactive Gaming Council (IGC) and the Interactive Media Entertainment and Gaming Association (iMEGA) appealed the case and organizations like the Poker Players Alliance (PPA) and the American Civil Liberties Union (ACLU) also submitted written briefs to the court decrying Wingate's decision. The Court of Appeals ruled in favor of the online gambling sites, but the battle did not end there as the Kentucky Supreme Court agreed to hear the case. In addition to reiterating their belief that URL's do not constitute gambling devices, the respective attorneys speaking on behalf of the online gambling industry also emphasized the lack of due process in the proceedings, as the initial hearing with Judge Wingate did not allow for the opposition to be heard. Tate argued that the state's actions violated the 14th Amendment of the Constitution and the Commonwealth has no jurisdiction to take this sort of legal action. It could take up to a couple of months for the court to issue their written decision. 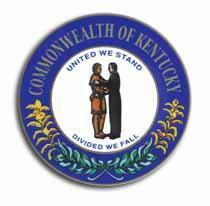 Should the court rule in favor of the Commonwealth, any domain names that do not block Kentucky residents from accessing their sites will be required to forfeit the URL to the state. During his argument, Lycan revealed that those domain names would be sold at public auction once they were under the state's control.